Your cultural itinerary includes sights like Chapultepec Park and Frida Kahlo Museum. Deepen your sense of the past at sights like Historic Center (Centro Historico) and Museo del Templo Mayor. When in Mexico City, make a side trip to see Tepozteco in Tepoztlan, approximately 1h 25 min away. And it doesn't end there: take a stroll through La Condesa, delve into the lush surroundings at Bosque de Chapultepec, admire the landmark architecture of Ciudad Universitaria, and explore the world behind art at Palacio de Bellas Artes. 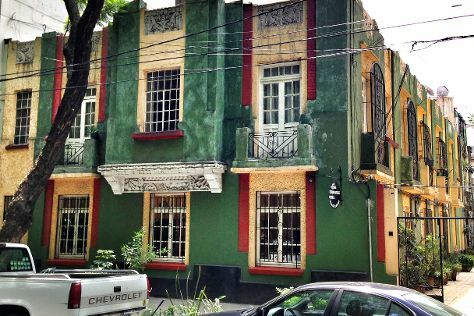 You can plan Mexico City trip in no time by asking Inspirock to help create your itinerary. If you are flying in from United States, the closest major airports are Licenciado Benito Juarez International Airport, Querétaro Intercontinental Airport and General Francisco J. Mujica International Airport. In June, daytime highs in Mexico City are 76°F, while nighttime lows are 57°F. Cap off your sightseeing on the 22nd (Fri) early enough to travel back home.